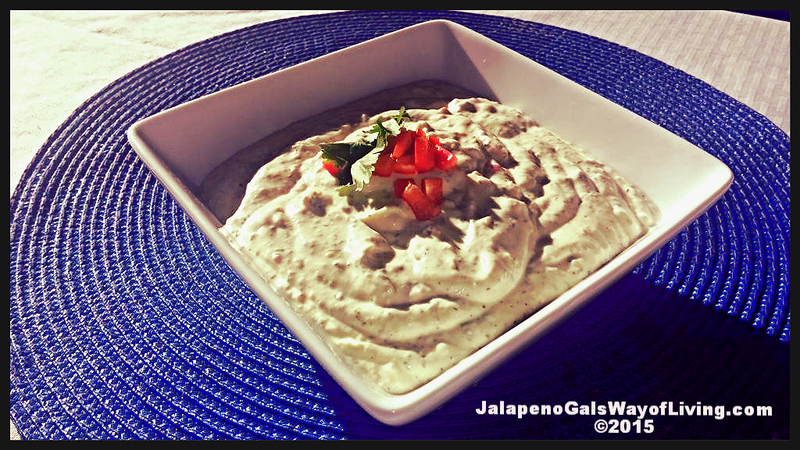 Kickin’ Jalapeño Game Day Dip! With the Superbowl upon us, we are all searching for delicious foods and dips to serve our friends at Super Bowl parties. Many of us also have healthy resolutions this year and it can be hard to find alternatives that don’t use fatty sour creams or things loaded with carbs. So I decided to try using Chobani’s Plain Greek Yogurt as a base for this recipe. Stay with me, you will never know this is made with yogurt, I promise. Keeping with the spirit of my blog this year, I decided to get creative and come up with something that has a little ‘kick’ to it! (Pun intended) This dip can be served with crackers, chips, vegetables, or used as a sandwich spread. We even used it on our tacos and burritos the other night! 1/2 cup fresh cilantro tops. Only use the leaves, no stems. Dry spice mix Ingredients: Most of these ingredients can be found in your cabinet already. 1/3 cup dry buttermilk, often found next to the powdered milk at Wal-Mart. 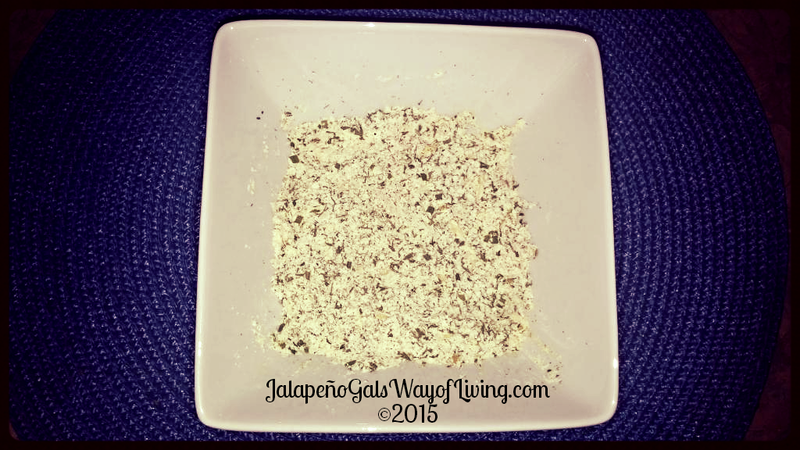 Start by mixing together all of the ingredients listed above for the dry spice mix in a bowl, set aside. Wash, pat dry and chop your cilantro. Remember to only use the leaves, not the stems for this recipe. Finely chop your mini sweet red bell pepper. Add the Chobani Yogurt, light mayo, jalapeños, your sweet mini red bell pepper, lime juice, 5 tablespoons of the dried spice mix and chopped cilantro in your blender. Pulse at high-speed until blended. You may have to scrape some of it down so that it mixes well. Pour into bowl and serve immediately or refrigerate until you’re ready to use it. We serve this amazingly easy to prepare dip with roasted garlic and tomato crackers and summer sausage. There are so many possibilities with this dip. Please feel free to share your thoughts and ideas in the comment section below.